For example, we may require your personal information when you make a reservation with us or if you participate in a contest or promotion. Depending on the reason for the collection of your personal information, the personal information we collect may include your name, contact details, Internet Protocol (IP) address and financial details. The collection of your information may also include the use of ‘cookies’ to record the way in which you use our website, such as the pages you visit and the information you have searched. for the purposes of providing you with promotional offers. balconies dolphincove provides website statistics to interested parties, but these statistics are aggregated and do not contain your personal information. It is generally not possible for us to provide you with our services unless we have identified you, and in some cases the law requires that you identify yourself to us. If it is lawful and practicable to do so, we may offer you the opportunity to deal with us anonymously. For example, when making an inquiry about room rates or availability. We take all reasonable precautions to safeguard your personal information from loss, misuse, unauthorised access, modification or disclosure. using professional organisations for the provision of online and emarketing services. From time to time we may use your personal information to provide you with information about our products, services and new developments at balconies dolphincove including new guest services and seasonal specials. Once you let us know that you do not want to receive this information we will stop sending you any further information. If you change your mind about receiving our marketing information, you just need to let us know and we will resume sending you this information. It is important that the personal information we collect from you is accurate, complete and up-to-date. During the course of our relationship with you we will ask you to keep us informed of any changes to your personal information. However, you can contact us at any time to update your personal information or to tell us that the information we hold about you is in any way inaccurate or incomplete. In some instances a reasonable fee may be charged to cover the cost of retrieval and the supply of the information to you. We will seek to handle all requests for access to your personal information as quickly as possible and we will endeavour to process any such requests within 30 days. Some requests for access may take longer than 30 days to process depending upon the nature of the personal information being sought. We may be required by law to retain your personal information for a period of time after you have ceased your relationship with us. After such time has passed we will take commercially reasonable steps to secure the destruction or deletion of your personal information. giving access would prejudice the activities of an enforcement agency. If you are not satisfied with our response to your complaint you can refer your complaint to the Australian Information Commissioner in writing to the Director of Compliance, Office of the Australian Information Commissioner, GPO Box 5218, Sydney NSW 2001. If you have any queries about how to lodge your complaint you can contact the Office of the Australian Information Commissioner by telephoning 1300 363 992. 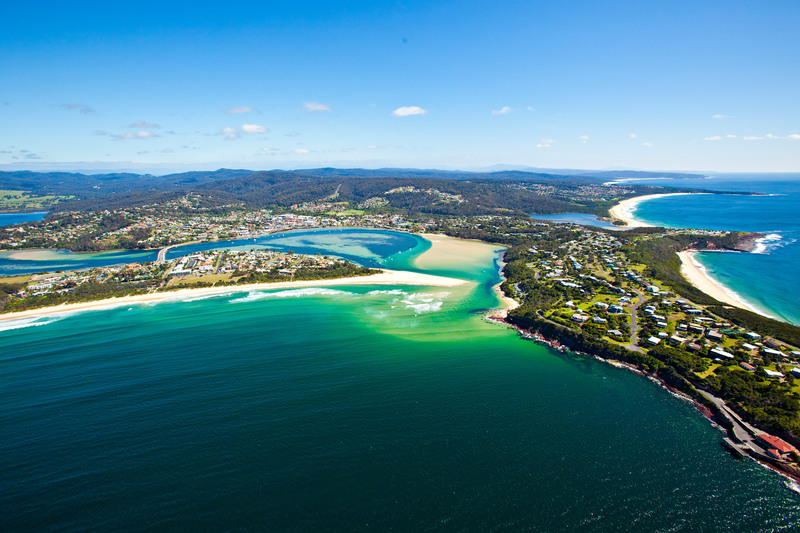 Images of the Sapphire Coast were kindly provided by Sapphire Coast Tourism.